The theme of this year's contest was "Chemistry Is Out of This World!". Picture Caption: W.G. 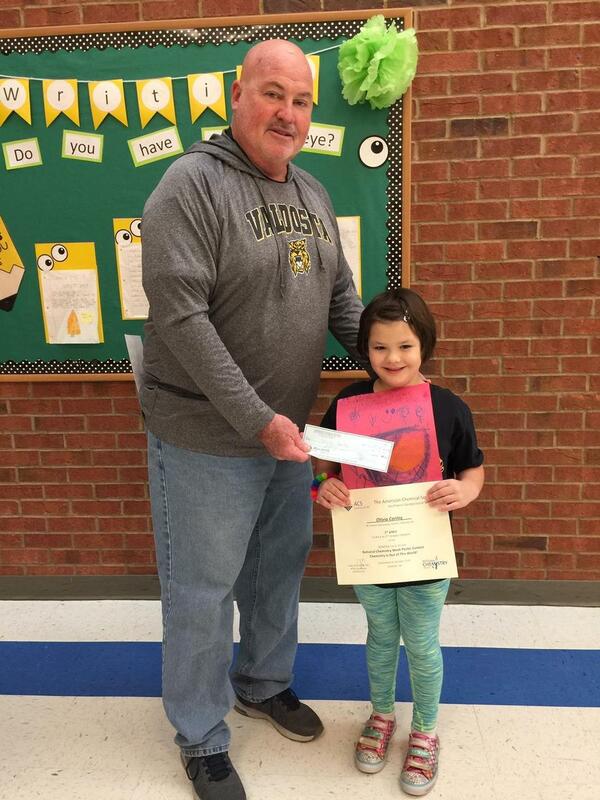 Nunn Principal, Wade Beale, presented writing winner, Olivia Conley, her certificate and a $50.00 check from the Valdosta State University chapter of the American Chemical Society.